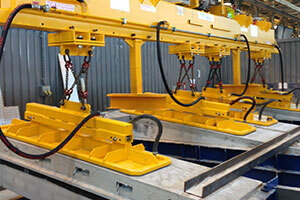 25,000 kg unit for handling Steel plates and Concrete panels up to 20 metres in length. 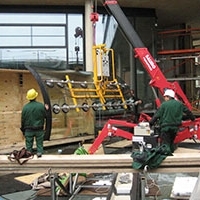 250 kg lifter for handling 4m x 3m triple Glazed units. 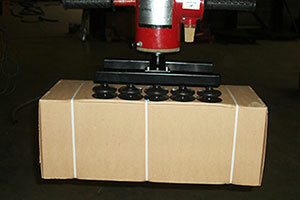 150-1000 kg lifter for handling Steel, Aluminium and Metal products. 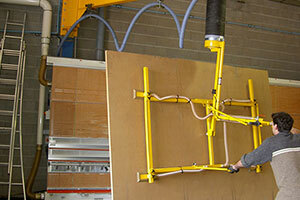 Eurotech ET Gripper transfer station head for lifting Wood, MDF and OSB. 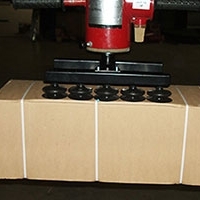 2000-8000 kg generic lifter for handling Concrete, Steel and Aluminium plates. An extensive range of components and consumables available. 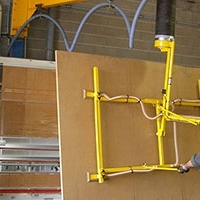 Manupac 250 kg unit for handling MFC,OSB and other board materials onto a horizontal saw. 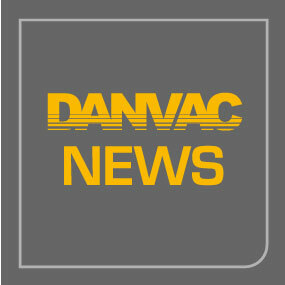 From equipment and component sales to bespoke manufacture, service and consultancy, Danvac have over 30 years experience in the Materials handling industry. All of our equipment is ergonomically designed and manufactured to the highest standard at our premises in the Midlands. 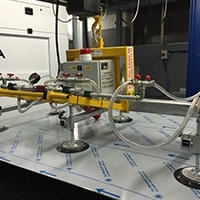 We work closely with our customers, providing cost effective Vacuum lifters to meet specific requirements, enabling the semi-automation of product handling, thus creating a far safer and more efficient working environment. 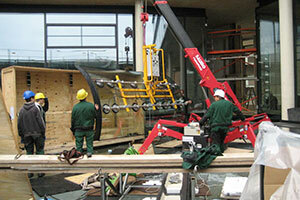 Glass, Metal, Wood and Concrete can all be lifted, transferred and processed with our equipment. 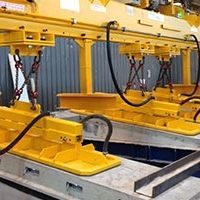 Lifting products weighing from as little as 10kg up to an impressive 27 tonnes. Alongside our equipment, we provide an extensive range of OEM equivalent parts, components and consumables. R & D investment has resulted in our consumables being engineered to a much higher standard, superior to many others in todays evolving market place. Our non – vulcanised suction pad lip-seals are more environmentally friendly, ensuing a better disposal at the end of their working life, helping our customers reduce their carbon footprint. 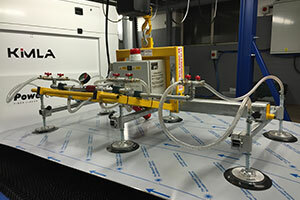 Equipment inspection, testing and servicing on all makes and models of vacuum lifting equipment is carried out by our fully trained engineers either on site or at our own premises. Our friendly staff are dedicated in assisting you with your enquiries, from initial purchase through to aftersales. We pride ourselves on working as a team, maintaining a close relationship with all our customers, which has resulted in successful continued working relations with the majority of our customers over 30 years plus. Whatever your industry and whatever your lifting requirements, Danvac have the experience and products to provide the most suitable solution at a competitive price. We will ensure you comply with industry standards and Health and Safety regulations, manufacturing to BSEN 13155 and EMC regulations EN61000-6-2/4. If you have a specific or general enquiry, please contact the office direct on the number as detailed above, or alternatively please complete the relevant contact form and one of our staff will be in touch with you shortly.